Group of Jewish refugees from Egypt at the Notre-Dame-de-l'Osier comvenant, Isère, France, 1957. Copyright © Victor Teboul. Private collection. Victor Teboul was born in Alexandria, Egypt on May 9, 1945. He was expelled from Egypt and arrived in France with his family on December 25, 1956. The family had seven days to leave Egypt. The reason they were given for the expulsion was their possession of a French passport. In France, the family lived under the auspices of the French government at the convent of Notre-Dame-de-l’Osier in the Isère from January 1957 to May 1957. 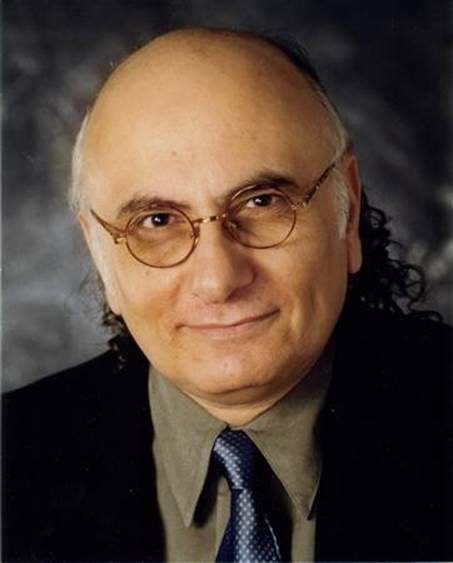 Francophone Canadian writer and educator Victor Teboul, Ph.D., was born in Alexandria, Egypt. A longtime resident of Montreal, his work focuses on Jewish and Quebecois identity, the Egyptian Jewish community, and his own experiences as a Jewish individual exiled from Arab lands. He is the founding editor of the Tolerance.ca webzine, which he created in 2002 to promote a critical approach to issues of tolerance and diversity. He has also been a tireless promoter of Québécois-Jewish relations. 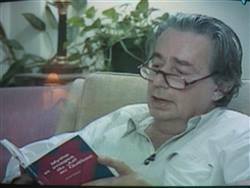 Mordecai Richler, in his ''Oh Canada ! Oh Québec !'' draws extensively from my essay ''Mythe et images du Juif au Québec'' which he quotes on numerous occasions in his book. Needless to say that as a Francophone writer, I obviously do not agree with his conclusions. The picture above has been taken from the documentary «Mordecai Richler, le Cosaque de la rue Saint-Urbain», released in 2010. Richler keeps reaching for my book while being interviewed by Madeleine Poulin on antisemitism and nationalism in Quebec. The French Review, the American publication of Teachers of French, devotes a study in its December 2014 issue by Robert Watson to my novel La lente découverte de l'étrangeté. In his article entitled, "Narrating a Diasporic Childhood around the Mediterranean in Victor Teboul’s La lente découverte de l’étrangeté "Watson writes ''Alexandria represents one of the most striking examples of colonial cosmopolitanism, with a nineteenth-century boom that was fueled by migration from around the Mediterranean basin and beyond. Writing from Montreal,Victor Teboul remembers the Alexandrian mosaic in autobiographical novels, illustrating his colorful post-WorldWar II polyglot Sephardic Jewish childhood alongside several other communities''. Victor Teboul’s latest work Les Juifs du Québec : In Canada We Trust. Réflexion sur l’identité québécoise (L’ABC de l’Édition, paperback, $24,95; ebook, $14,99) explores Quebec’s history and argues that Jews and other minorities are absent from la Belle province’s memory because they do not share the French Canadians’ struggle to survive as a French-speaking nation. As a francophone from la Belle Province, I would like the Canadian Broadcasting Corporation (CBC) - and I mean specifically the English network of Radio-Canada - to cover more extensively Quebec. When I watch the news and other programs on the television network of the CBC, I feel as if Quebec has already separated from Canada. 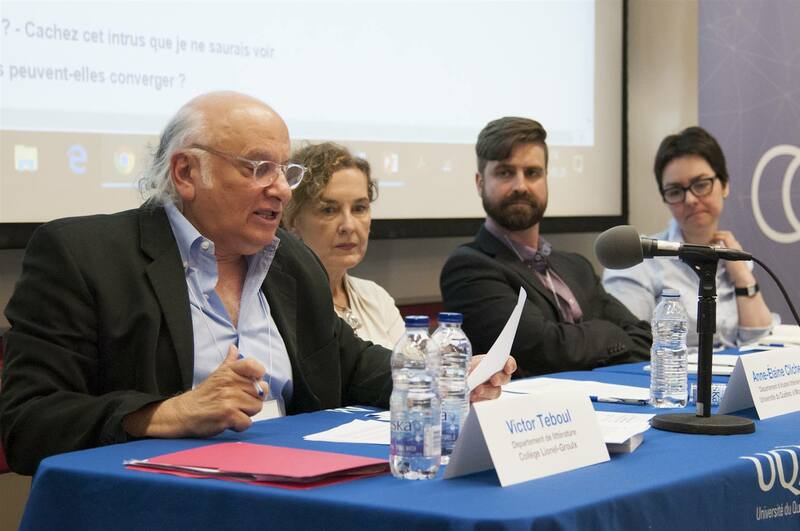 ''On being a Francophone Jewish writer in Quebec'' is a first-hand account of what it is like to be a Francophone intellectual in Montreal's largely anglophone Jewish environement. It was published while I held the position of Executive Director of the Canada-Israel Committee's Quebec Bureau, the principal Canadian Israeli lobby. My Mythe et images du Juif au Québec denouncing misconceptions about Jews and about Israel among Quebec literati had appeared four years earlier. My mandate at the CIC was to promote Israel among the French-Canadian elite. The task was not easy as during that period the war in Lebanon broke out. ''On being a Francophone Jewish writer in Quebec'' is now part of Essays on Quebec nationalism and the Jews, for more information, please clik HERE. Author Victor Teboul, editor of the Canadian web magazine Tolerance.ca, has published his third novel in France. ''Bienvenue chez Monsieur B. ! '', which could be translated as '' Welcome into the World of Mister B. ! '' is a work of fiction which depicts the world of power and finance within Montreal's Jewish Community. In December 1956, we left Alexandria along with a few thousand Egyptian-born Jews who held French and British passports, expelled from Egypt because of the Franco-British and Israeli campaign to discourage Nasser from nationalizing Egypt's own Suez Canal.